Lyonchhen Tshering Tobgay met H.E. Mr. Kenji Hiramatsu, the new Ambassador of Japan to Bhutan at the Gyalyong Tshogkhang this morning. 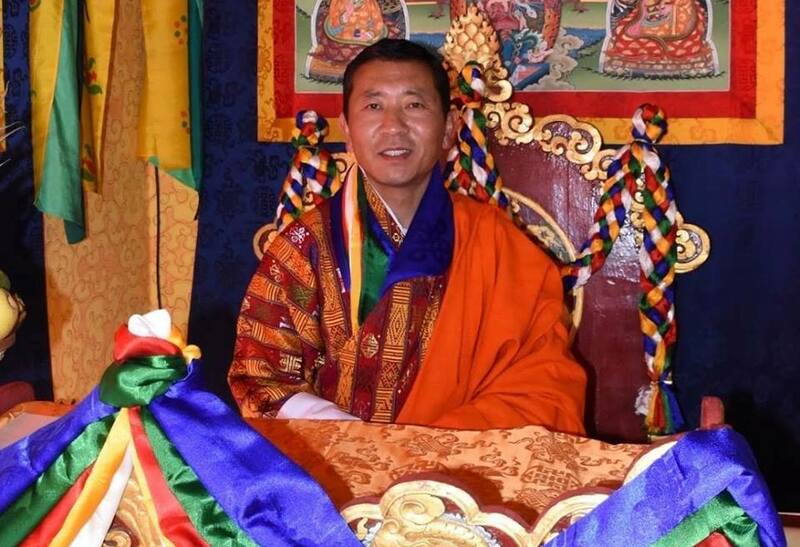 Extending a warm welcome, Lyonchhen offered his hearty congratulations to the ambassador for presenting his credentials to His Majesty the King and assuming this very important post. 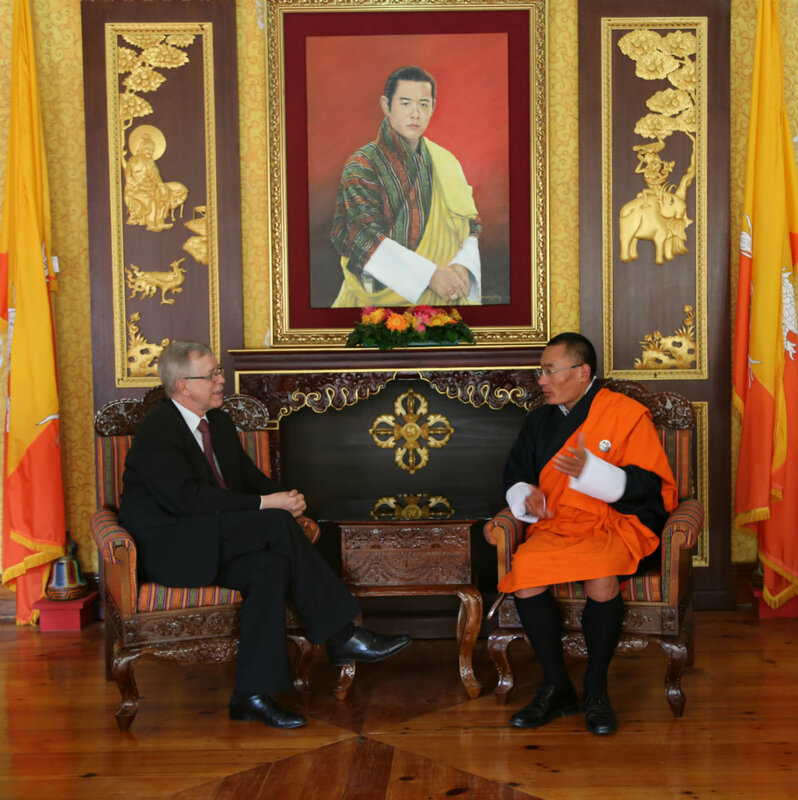 Lyonchhen extended a hearty welcome to the ambassador and congratulated him for having presented his credentials to His Majesty the King and assuming the position as EU’s ambassador to Bhutan. 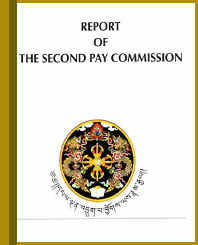 The EU ambassador expressed that he was impressed to observe the institution of democracy in Bhutan. On this, the Prime Minister thanked EU for their generous support in Bhutan’s social and political development. During the meeting, the two leaders discussed furthering cooperation in sustainable agriculture, combating climate change and disaster management. 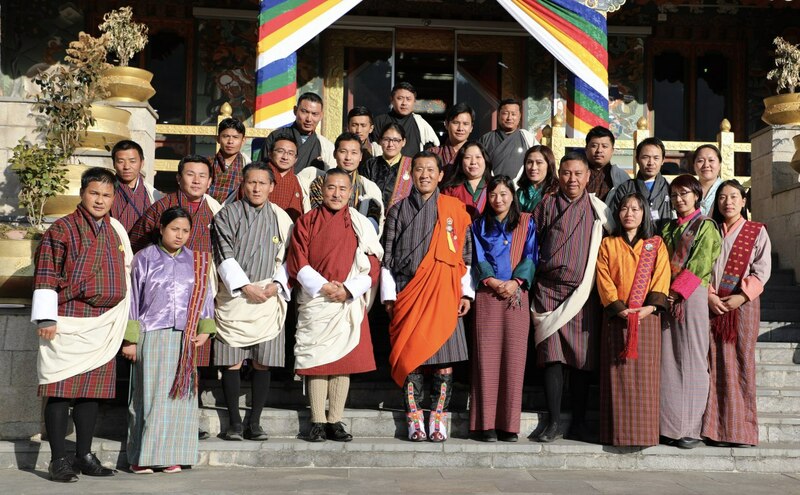 Lyonchhen extended his gratitude to EU’s useful assistance and support to NGOs in Bhutan, which is expected to encourage sustainable and carbon-neutral tourism in the Kingdom. Lyonchhen further added that EU’s increased assistance in terms of budgetary support to the local government and civil society organizations in the country has proven to be very useful. Lyonchhen informed that Bhutan is encouraged by EU’s commitment to further strengthen and expand areas of bilateral cooperation. The ambassador conveyed that he would work in his best interests and continue to build on the existing excellent bilateral relations between Bhutan and EU. 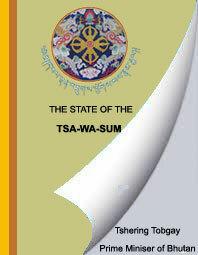 Lyonchhen Tshering Tobgay met the Ambassador of India to Bhutan, H.E. Mr. Jaideep Sarkar at the Gyalyong Tshogkhang this evening. Welcoming him, Lyonchhen congratulated the new ambassador for having presented his credentials to His Majesty the King earlier today. 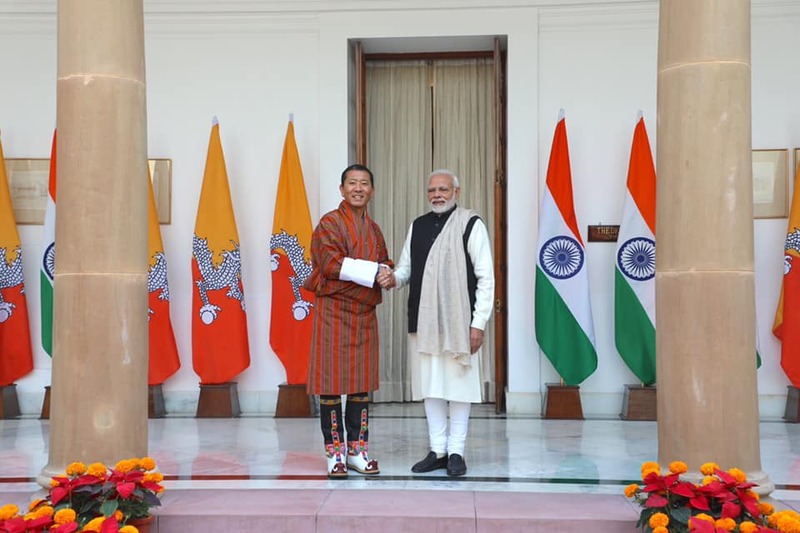 Lyonchhen and Ambassador Sarkar agreed that both countries share a deep relationship that is not confined by political boundaries but nurtured and strengthened over the decades by the people of the Bhutan and India. Ambassador Sarkar conveyed that he viewed this relationship with a great optimism and was happy to observe the people of the two countries sharing similar aspirations and dreams.